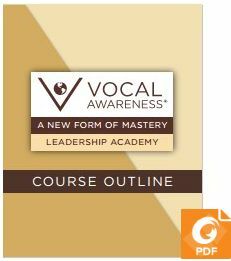 Mindful Leadership: The Vocal Awareness Leadership Academy is a 3 day in person course with a follow-up 10 week online course comprised of the greatest and most comprehensive lessons from 50 years of Vocal Awareness integrating the concepts of Communication Mastery with Leadership Mastery. It is, as we call it, A New Form of Mastery. • Plus over 20 hours of bonus material worth over $1000! 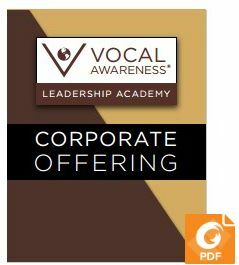 It encompasses the whole of Vocal Awareness, and much more. Group courses include at least 3 in person teaching sessions with Arthur Joseph as well as webinar follow ups.